We introduce the next President of CARP and former National Program Director, Teresa Rischl. United with Naokimi, Teresa was instrumental in raising CARP to the place it is now. Her demonstrated commitment and dedication to CARP’s mission has led her to be appointed CARP President as of February 2017, with the blessing of Mother Moon (co-founder of CARP) and the CARP Board of Directors. Teresa is passionate about giving young people a support system, stemming from her own experience as a college student. Growing up she was a natural leader and was concerned about creating an inclusive environment where everyone could grow together. Knowing the challenges that students face on campus, she is committed to offering students the opportunity to be involved in something greater than themselves and to truly discover what is important to them. 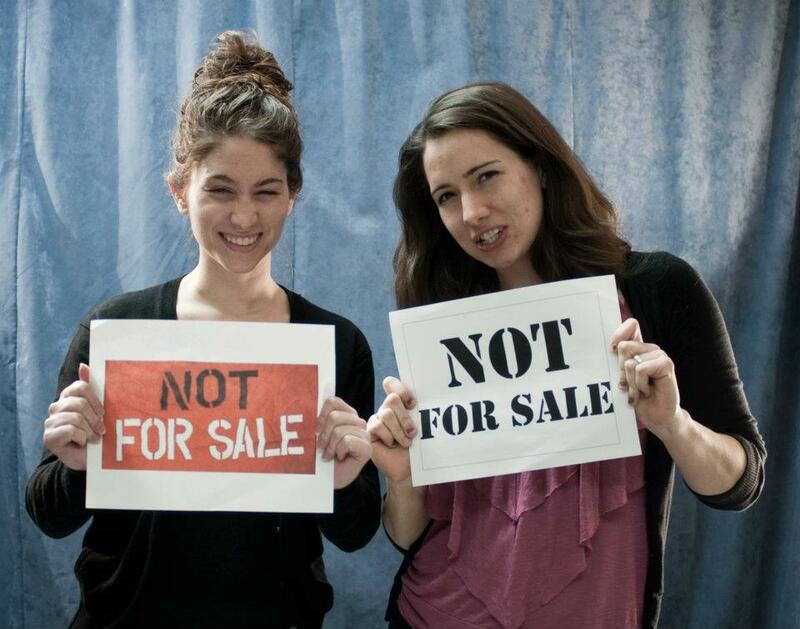 Teresa and a college classmate joining in on a social media campaign against human trafficking in 2012. 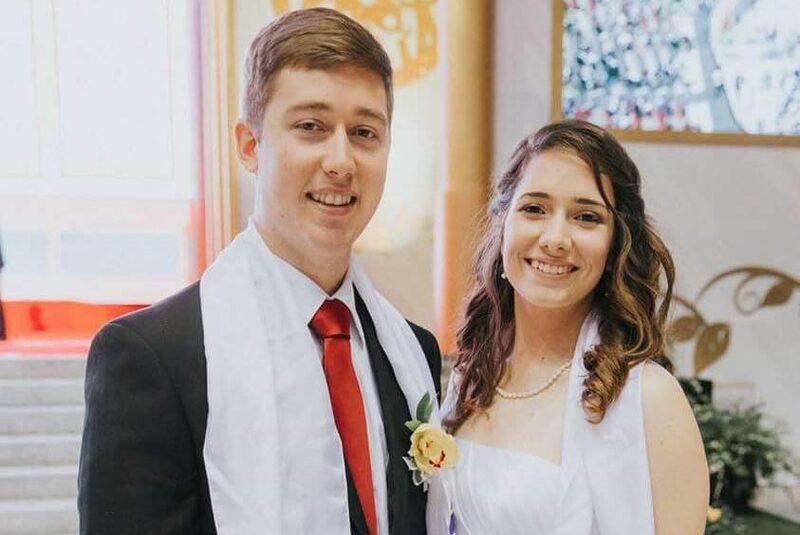 Although Teresa initially intended to participate in a faith-based gap year program after high school, she felt God was calling her to go to college and volunteer with her local youth ministry. Caught between the pressures of classes, social life, and youth ministry, Teresa found herself questioning the principles she had grown up with. This is the typical experience for an emerging young adult. A bit later, she was approached by Miilhan Stephens (the CARP chapter President at UMD at the time) and Hero Hernandez (the National CARP President at the time) to join CARP. Teresa resisted it at first but was touched by the personal care and support they offered. Teresa at a CARP stand talking with a student at the club fair at UMD. She had also reached a point in her growth where she knew what was important to her – family, faith, and making a difference in the world. So, Teresa committed herself and stepped up as CARP President of the UMD chapter and as the Young Adult Coordinator at her local church. Under her leadership, CARP UMD hosted numerous events on campus including discussion forums, club fairs (where they invited ‘Mr. The Fish’ to entertain students), stress relief activities during finals week, service projects creating care packages for other students, and more. Teresa also established a weekly ‘Divine Principle Forum’ at the local CARP center and organized trips for students to visit the CARP HQ in New York City with Victoria Roomet and others. Teresa posing with the CARP mascot, Mr. The Fish, with a fellow CARP member. Wanting to travel, Teresa finished her undergraduate degree online, after eventually deciding to change her major to Business. She spent some time in New York City (as Program Coordinator for a summer leadership program under Naokimi before he was CARP President) and then Europe before taking a job as a nanny in Connecticut to finish her last few credits. When Naokimi was appointed as CARP President in July 2013, Teresa connected with him about his vision and wished him luck on his new mission. Naokimi would later invite her to work part-time as an administrative assistant for CARP. After CARP’s first workshop at the University of Bridgeport, Teresa became a full-time staff member, taking on the role of Executive Assistant and Secretary of the CARP Board of Directors. Teresa giving a talk at the CARP Officer’s Training workshop. With very little staff, Teresa became a jack-of-all-trades and got experience in different areas of nonprofit management including HR, operations, strategy, membership, fundraising, communications, and more. CARP staff members came and went, but the organization found a firm footing in 2015 after recruiting three new staff members – Taka Sugawara, Nina Urbonya, and Justin Okamoto – from an international ‘Global Top Gun‘ workshop. These young adults had demonstrated their competency, skill, and commitment as CARP students themselves. Teresa posing with the growing CARP America team in 2016. With a larger team in place, Teresa was promoted to National Program Director. Meanwhile, Teresa also began working towards a Master in Public Administration (MPA) from Marist College. She plans to finish her master’s in nonprofit management in May 2018. Teresa is proud of several initiatives she helped establish so far such as the Mentoring Partnership, CARP’s 50th Anniversary Celebration dinner, national ‘Momentum’ workshops including a young professionals networking component, and monthly chapter rep support calls, to name a few. Teresa is hopeful and excited for the years to come. She is committed to bringing joy and incredible success to God and CARP’s founders, Father and Mother Moon. After collecting CARP alumni testimonies from the past 50 years, she hopes to continue and honor the incredible legacy that was created before her. Teresa with former CARP president, Naokimi Ushiroda. 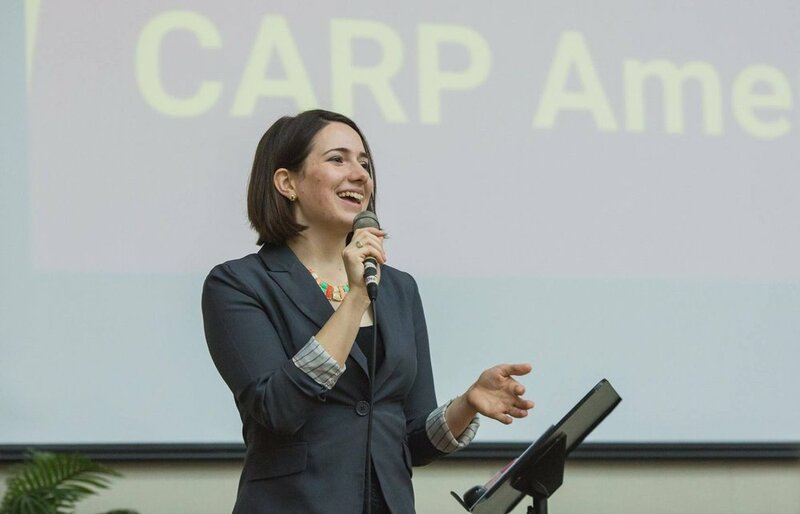 It’s been just a month since she took on this new role and she has already visited several college campuses, researched the purpose for CARP from its founders, listened to recommendations by the community, and initiated a national call with local CARP representatives. Teresa loves rocking out and dancing in front of the mirror when no one is watching. Her favorite tunes recently are “Wild Things” by Alessia Cara and “Can’t Stop the Feeling” by Justin Timberlake. Teresa and husband, Neil, attended the 2015 Marriage Blessing ceremony. Teresa and her husband, Neil, just celebrated their 2-year anniversary. They’ve both traveled extensively and settled in Bloomfield, New Jersey a year ago. Already active in the NJ community, this dynamic duo spends their ideal evening cooking and spending quality time with friends.